If you are seeking a unique and quality gift for a presentation, awards ceremony, club membership or an employee’s job well done, consider custom challenge coins from CustomChallengeCoins.com. We don’t just make coins – we “mint” lasting and collectible pieces that will be the subject of great conversation for generations. We admit – our coins aren’t for everyone – but the discerning customer in search of the absolute highest quality product available today will love us. Some of our services you may find with other companies, but where we stand out from the crowd is our complete attention to customer needs and the ability to design truly superb custom challenge coins. It is this service that has captured the attention and loyalty of clients like the US Military, the Canadian Army, Caesar’s Palace, and Warner Brothers… just to name a few. We refer to our design staff as Craftsmen, and they take incredible pride in the designs they create for those ordering challenge coins. Our team won’t rush a design to you. We take our time so that the artwork you receive from us leaves a lasting impression. Once your challenge coins arrive, we think you will be equally impressed and we stand behind the quality of our products 100%. There are no tricks, gimmicks, or smoke and mirrors involved here – just hard work, creativity, and a passion for what we do that shows by browsing some challenge coin examples. Custom challenge coins have evolved from a little-known item to highly recognized recognition pieces over the last 12 or so years. When spoken about outside of military circles, most people would turn a deaf ear. In the recent past, however, more and more clubs and professional organizations have embraced the tradition and minted their own custom challenge coins for a variety of uses. What makes a challenge coin so appealing is that they are completely custom made per client. Logos, seals, a motto, monuments, and even pictures can be used in the design process, as well as different coin shapes. With such a personalized production process, it is no wonder why their popularity soars to new levels each year. Our decade of manufacturing and over 38 years combined design experience are paramount to our continued success. We constantly keep up with the latest methods that make custom challenge coins more appealing, and continuous training of our craftsmen is required for becoming part of our team. Some of our staff have built proprietary and patented techniques/applications which have been developed while working in the industry of military coins, and maintain our own challenge coin wiki page. It is this strive to always be better that makes us synonymous with quality craftsmanship in custom challenge coins. Let us create a lasting memory, formed in metal and fashioned specially for your purpose. Our business model includes personal attention to all, and that is our promise that precludes each inquiry we receive. We also offer distinctive award ceremony options that make presenting your custom coins even more distinguished. You are invited to begin your customer experience by submitting your request for quote by clicking the button above. Communication from one of our staff members should be expected in a matter of hours, and a completed design delivered to you in less than a day’s time. 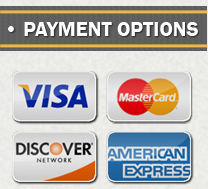 Our custom coin ordering system is simple, effective, and takes all the guesswork out of the process. CustomChallengeCoins.com…our name says it all. We look forward to working with you on your project, and establishing a lasting relationship.